DUE TO POSSIBLE FLOODING OF THE RACE COURSE THE CITY OF SUWANEE HAS CLOSED THE GREENWAY ON SATURDAY 12-1. The Race has been Rescheduled for Saturday 12-15. Same time and location. Were truly sorry for any inconvenience this has created for you. Course flooding becomes public safety concern for the event and city. 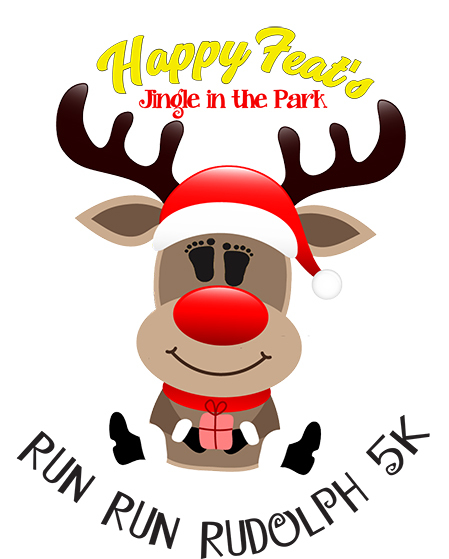 Introducing the 1st annual Jingle In The Park 5K Run/Walk. This race is USATF certified and electronically chip timed. The Fun Run will be lead by Buddy the Elf through the Candy Cane Forest! After the race stick around for, Mistletoe Mimosa and Mistletoe Marketplace with many unique vendors, entertainment, gingerbread house competition and Family Fun Zone! Photos with the Grinch and Buddy the Elf will be available. This event will take place rain, snow or shine! Packet pickup will be held on Friday December 14th from 5:00pm to 7:00pm at The Big Peach Running Co. in Suwanee Town Center. Packet Pickup and registration will begin at 7:00am in front of Suwanee City Hall. All participants registered by November 1st will be guarenteed and long sleeved race t-shirt. Any that registers after November 1st will receive a t-shirt while supplies last. Yes we used the S word. Guaranteed safe snow for the fun run. This gives families a great opportunity for a photo with festive race attire. Be sure to wear your holiday attire, jingle bells or Christmas PJs and get your photo taken with the Grinch or Buddy the Elf! Visit JingleInThePark.org to learn more about the event and post race festivities and visit happyfeat.org to learn more about why we smile!